Game Fishing Andaman | Fishing Tours & Fishing Trips In Andaman Islands. Andaman is 2000 kilometres away from the mainland of India. These isolated islands are also 750 kilometres off the coast of Thailand far out into the middle of Indian Ocean. The remoteness of the Andaman and Nicobar Islands Fishing in Andaman waters is extra delightful because this space is still off grid and untouched by the intrusion of commercial or mass fishing. 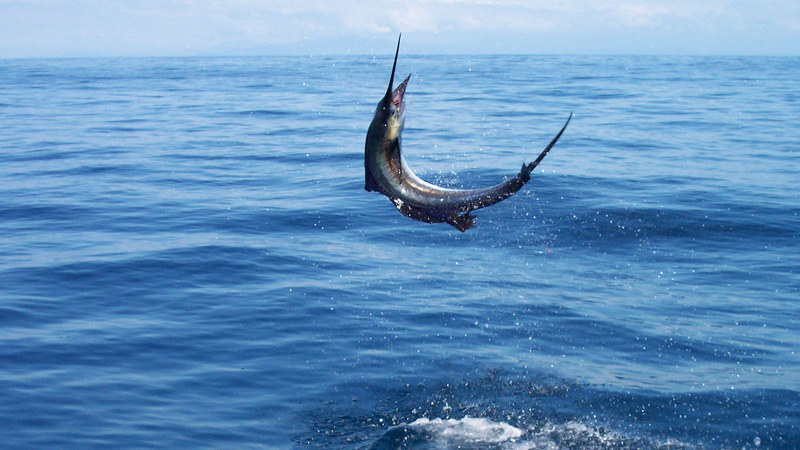 Andamans provides an excellent and thrilling opportunity for mixing sports fishing with relaxing holidays. There are many professional and premium game fishing operators in and around the Andaman Archipelago. These game fishing operators have been operating in these waters for more than a decade and provide ultimate guidance for a pleasurable game fishing experience. Their services are personalized and very organized. Fishing with these tailor-made fishing operators can be satisfying even for the extra enthusiastic anglers who aspire to land really big or interesting catches such as monster Dogtooth Tuna and Yellow Fin Tuna, Bigeye, Giant Trevally, Black and Blue Marlin, Red Snapper, Coral Trout, big Spanish Mackerel, Barracuda, Bluefin, and Pilot Trevally, Wahoo, bonito, Sailfish, Grouper and Dorado. These operators generally identify the most populated fishing spots to increase the chances of landing big and small catches so that the guests might not have to return unsuccessful. The unchartered waters of Andamans because of its remote location are still majorly unexplored. Jigging, popping and trolling techniques have opened up new and exciting waters for sports fishing or game fishing. The group of islands is mostly uninhabited with aboriginal tribes inhabiting a few of the islands. The tribes such as the Sentinelese, Jarawa, Onge, Jangil, Shompens Nicobarese and Great Andamanese are severely protected and lead an isolated life cut off from the modern day civilization of the present day world. These islanders fish locally. And thus commercialism has never been in the forefront. The islands are unique in biodiversity and harbour the precious and one of the richest coral reefs of world. Thus these islands are also furiously protected by the Indian Authorities and do not see much crowd. These factors have made the islands a traveller’s haven to game fishing. Apart from the prolific options of snorkelling, swimming and diving, Andamans offers equally world-class opportunities for sport fishing and angling. The regular game fishing operators have come up with certain facts for anglers. There are four different varieties of Bill fish seen around these waters that anglers love to catch. At some far ends of the seas large fishes weighing more than 30 pounds have been caught. Fishes longer than 3 feet have been spotted to the joy of the game fishing enthusiasts. You can reach out to these virgin spaces of the seas with minimum effort to enjoy the luxury of game fishing. Andaman Sea is the last bit of unchartered territory still available for such fishing opportunities in the globe. The fish community stringently adhere to the catch-and-release policy that conserves the ecosystem and does not disturb it in any way. Thus you enjoy a two-way sense of happiness. First is the joy of landing a substantial catch and the next is that you are enjoying but not at the cost of harming the marine lives. This process also ensures that the fish species are also preserved for future anglers. The anglers get transfixed by the whole experience. To add to the comfort, modern technology has uplifted the facilities of the boats and they come fitted with air conditioners and fully loaded galley, trolling, popping and jigging equipment, on-deck fighting chairs and very safe and comfortable environment. These boat and angling packages come complete with served meals of packed foods, bottled water along with soft drinks and also fruits. Some angling boats also have the facility of snorkelling gears to enable the swimmers to go for a refreshing snorkelling spree in case they get bored of long-hours of angling free of cost.